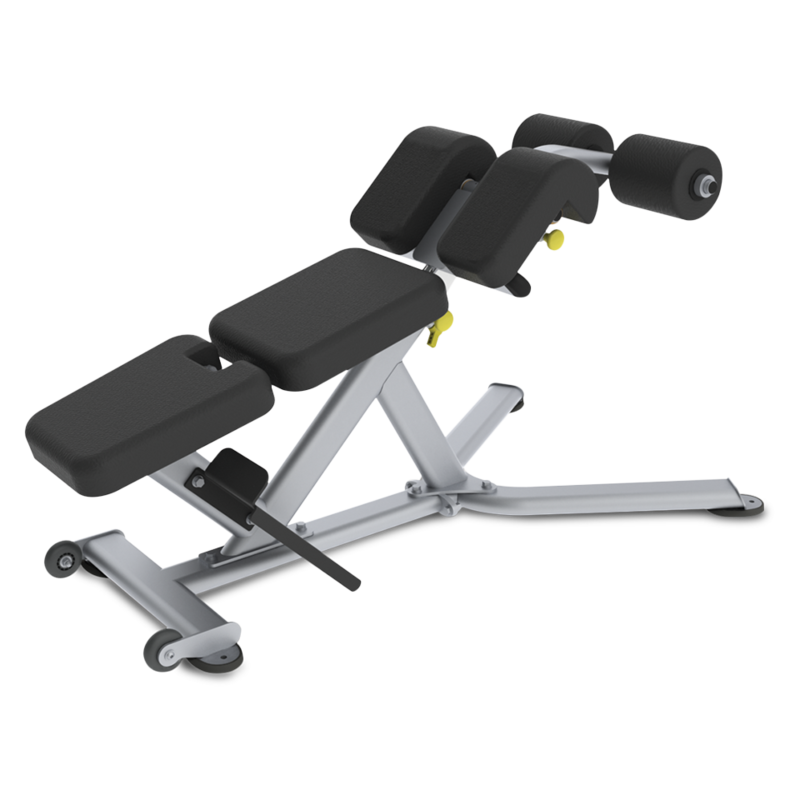 Unique dual-function bench easily adjusts between Ab Crunch and 45-degree Back Extension. The 7-position thigh pad provides proper ergonomics during back extension. 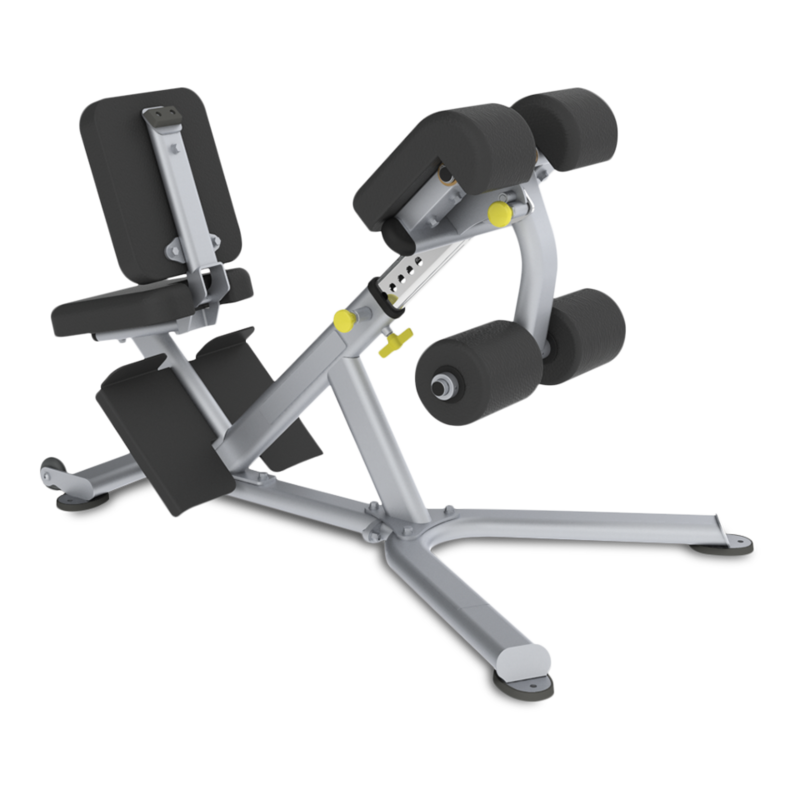 The back pad angled at 15 degrees and 3-positon ankle pad support the body during an abdominal crunch.